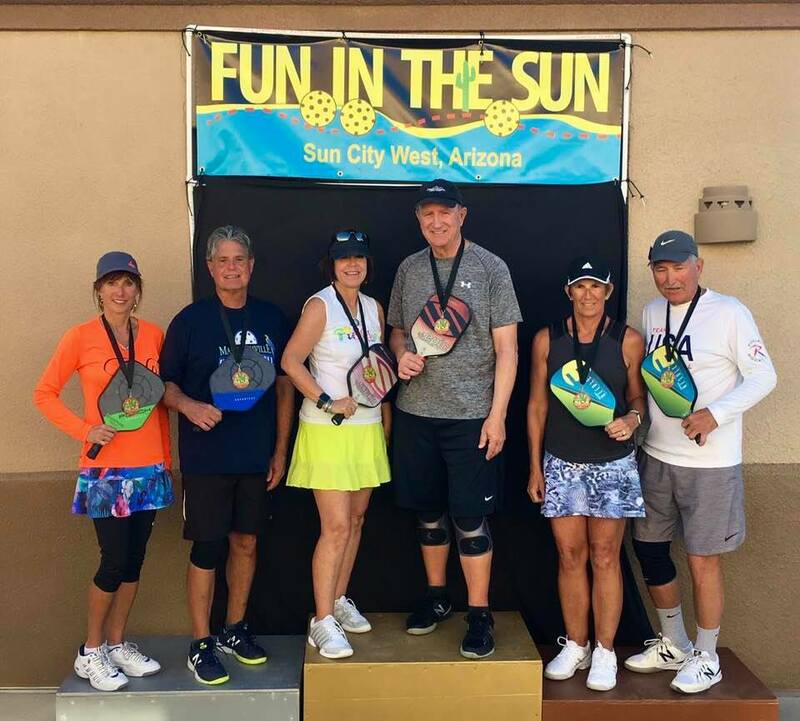 Played in the Fun in the Sun tourney hosted by the Sun City West Pickleball Club. Jeff and I fought our through the opportunity bracket to win Bronze in the 4.0 60+ level. It was a tough field but we were in every game. Thank you Jeff for your patience and coaching. Martha and I played doubles Wednesday in 25 mph winds with gusts to 40. The weather was not fun to play in. We came one game short of the medal round. Thank you Martha for partnering with me in AZ! Now back to Iowa! 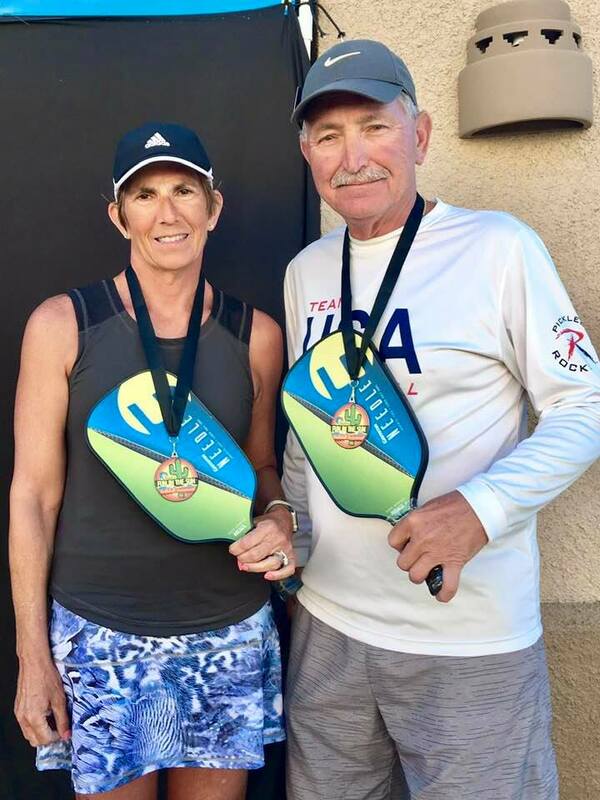 This entry was posted in Local Stars on the National Stage, News and tagged Arizona, Jeff Collar, medal, Tournament, Vicki Ryan. Bookmark the permalink.